Since 2005, literally the dawn of the age of blogging, I have been reporting on the world around me through the lens (however distorted) of an artist. 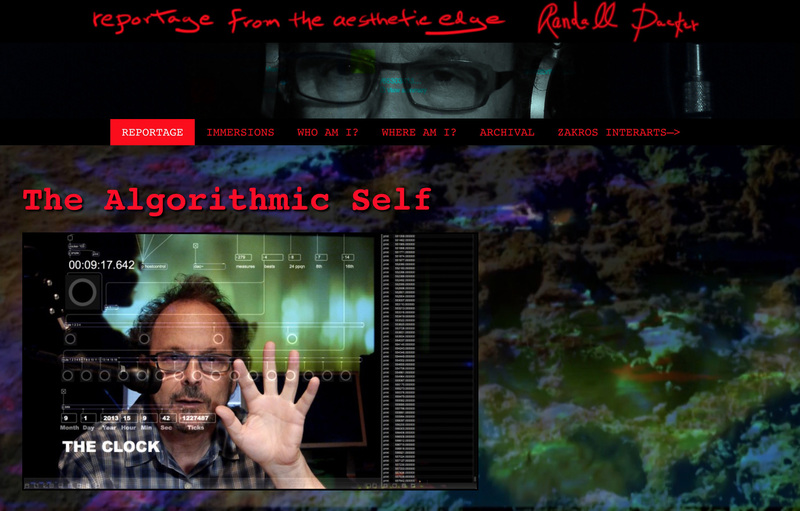 Reportage from the Aesthetic Edge is an online space for sketching ideas, it is a journal in multimedia form, or perhaps the reemergence of the ancient Greek notion of the hypomnemata: a medium to record one’s personal writing. In my everyday working process, the blog has great significance as a place for artistic thought. We saw the Chinese artist Ai Weiwei have his literally blog shut down by the authorities, which indicates clearly that in age of global media, the written word can constitute a powerful if not threatening force for those in political control. And in fact we have seen the blogosphere become a formidable presence in journalism: it is the bloggers who are typically on the front line of current events. And so Reportage from the Aesthetic Edge is the front line of my research, artworks, and artistic actions. It is the place where I can say whatever I want without gatekeepers, editors, and publishers telling me what to say and how to say it. By blog is my own personal publishing system, my global megaphone, my virtual soapbox, where I can say what needs to be said without constraint. If there is a role for the artist, that is it.